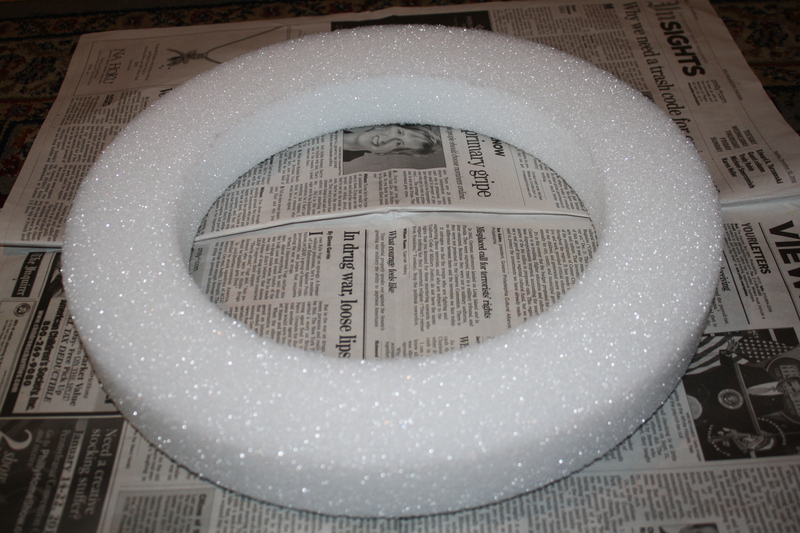 and a styrofoam wreath this time. 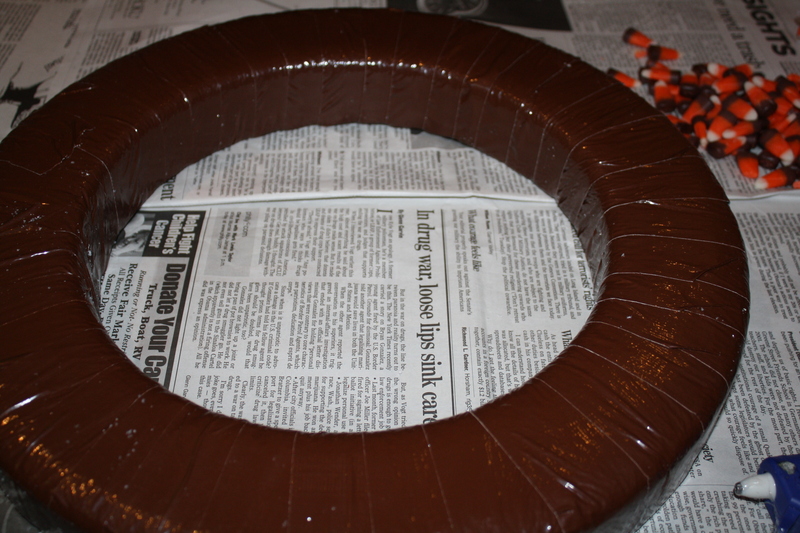 I covered the wreath with brown duct tape. 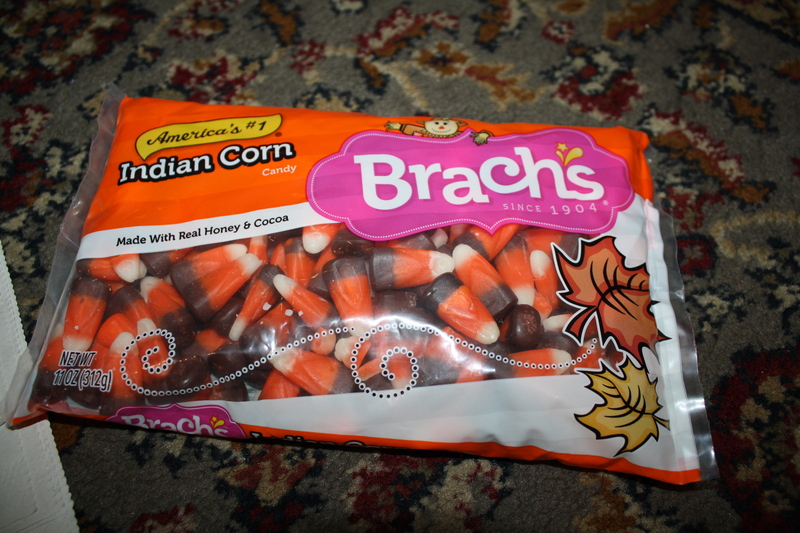 And then, for a little variation, I mixed the plain candy corn with the indian corn, tied a ribbon on it, and it’s good to go. 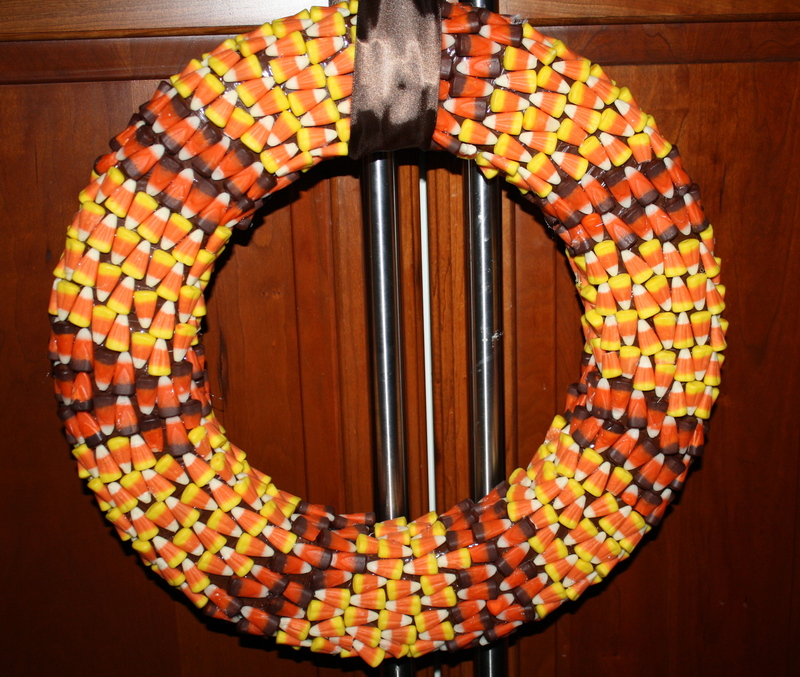 This was a bigger wreath, so it used more corn, plus I also corned the inside and outside of the frame as well. Personally, I’m more happy with this pattern than the original. 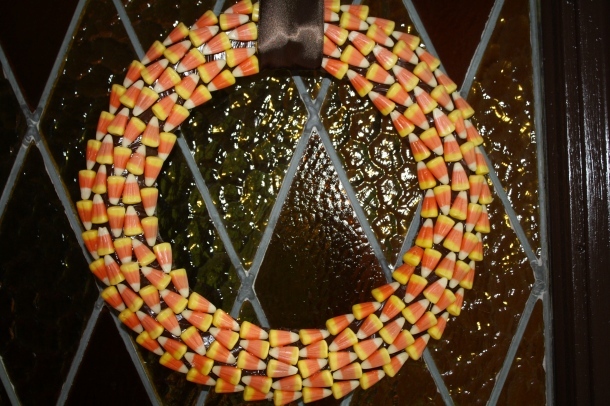 Now all I need to do is wait for the temperature to really drop, and I can hang it on the door. One more week should do the trick, I think.